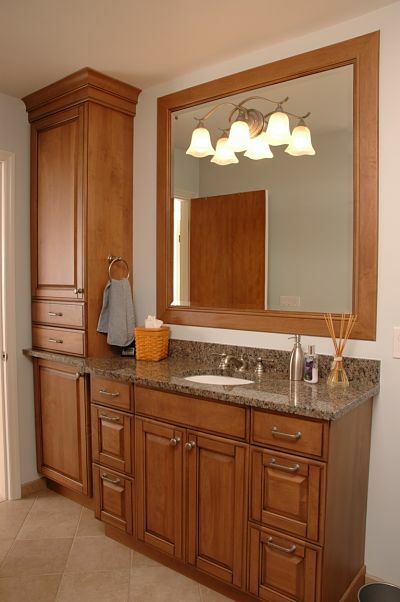 If you’re planning to renovate or remodel a kitchen or bathroom, you may be considering updating existing cabinets or purchasing new cabinets. 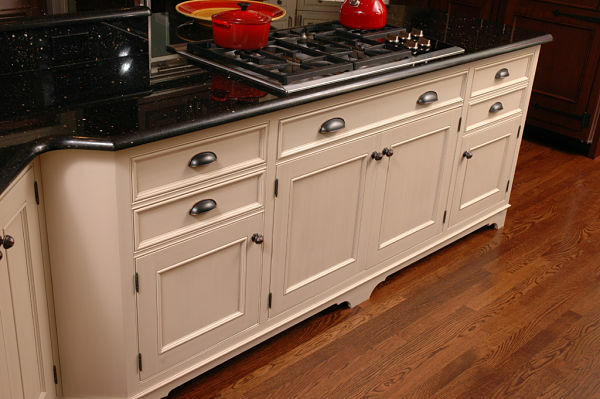 Knobs, pulls and hinges can give your cabinets and drawers a distinctive look. There are many designs, styles, shapes, sizes and materials to choose from that are both functional and decorative. Where do you begin? Top Knobs, a supplier of kitchen and bath hardware, has a Guide for Choosing Hardware that contains some helpful information for consumers. While the advice pertains to their metal products, some of the tips can also be applied if you are considering knobs and pulls made of glass, ceramic, wood or other materials. 1. Consider the quality. Look at the knob or pull carefully and feel the back. Lesser quality knobs and pulls often have open backs to reduce the amount of metal used (and the cost) to produce them. Observe the thickness of the metal and the edges. 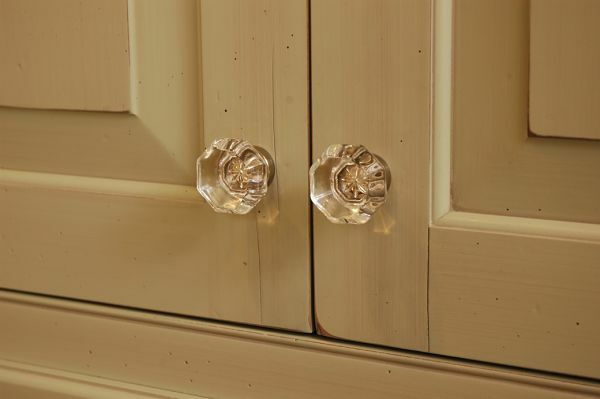 Thin knobs and pulls may be more susceptible to denting and bending. Feel the weight. 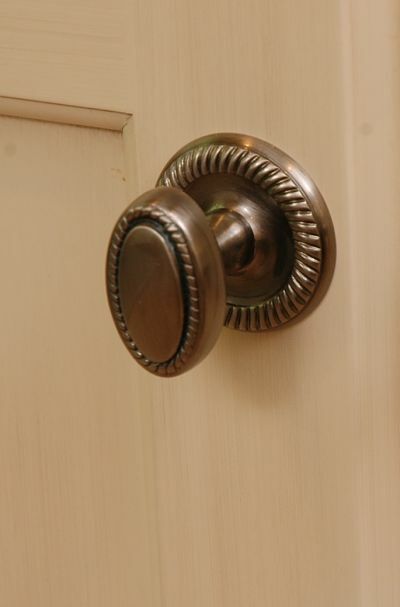 Lesser quality knobs and pulls are hollow and lighter. 2. Feel the surface and check the clearance. 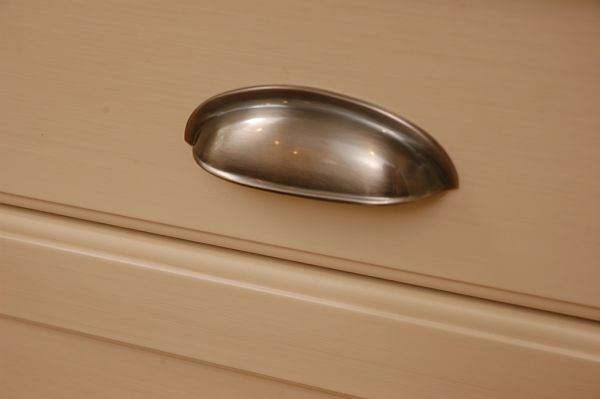 Lesser quality knobs and handle pulls may feel sharp on the back where your fingers grab and may have less clearance which can cause your fingers to feel cramped when opening a drawer or cabinet door. Rub your fingers across the finish. A rough finish may indicate that less time was spent on smoothing and polishing the surface. 3. Test the product. If you are looking at knobs and pulls on a store display or showroom, grab onto a handle or pull to experience what it may be like to use the product at home. A showroom may lend you a couple of knobs or pulls to try out. Some manufacturers will provide a sample if you pay shipping costs. 4. Check out the screw holes if you are selecting pulls. Hold up several pulls. Are the holes consistent? Lesser quality pulls may have slightly variable distances between holes that may cause problems when they are installed. 5. Look for anti-twist pins on knobs. An anti-twist pin prevents a knob from spinning. While spinning is generally not a problem with round knobs, oval or rectangular knobs can loosen and spin. 6. 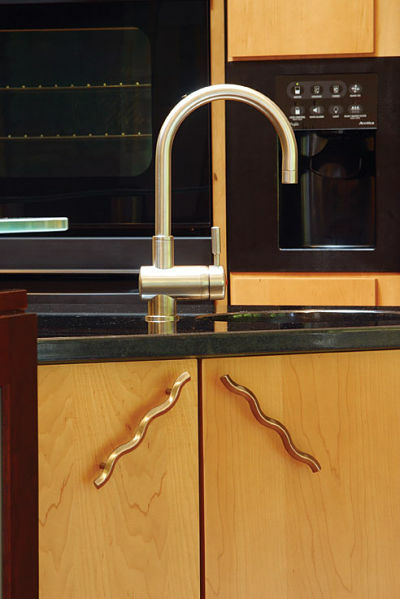 Look for knobs with a warranty on the finish and for durability. 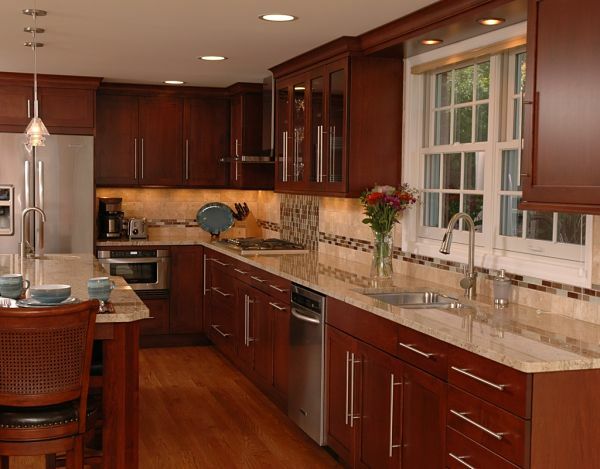 Lesser quality knobs have a thin finish that will wear down, oxidize or pit after several years of use. This is particularly problematic in kitchens and bathrooms where you may be frequently touching the knobs and pulls with wet or moist hands. A “Lifetime Warranty” will guarantee the finish. Higher quality metal knobs and pulls come in a range of materials that include nickel, brass, bronze, chrome, stainless steel and iron. 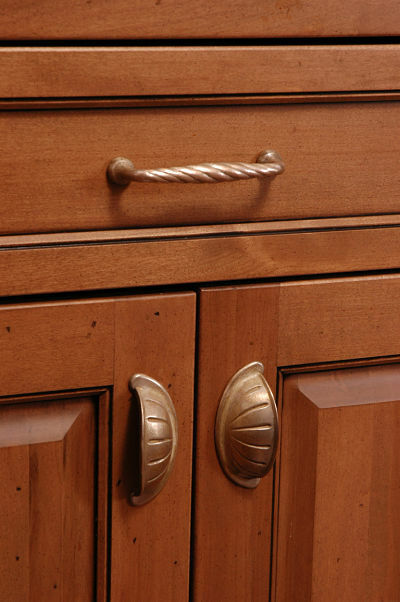 Whatever material you choose, look for knobs and pulls that are heavy and solid for durability. As for other decorative touches, cabinet back plates can be used to enhance knobs and pulls or to hide existing holes when updating hardware. A back plate will also protect the surface of a cabinet. 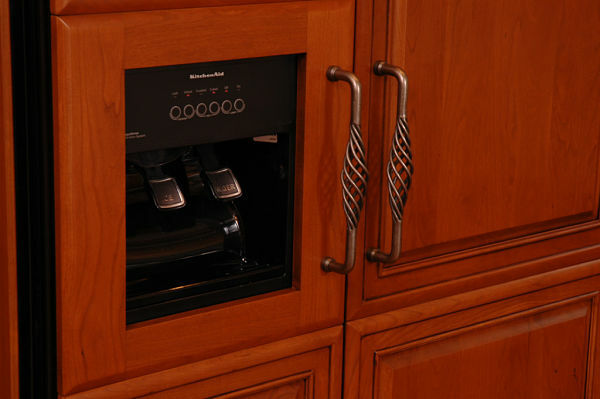 Another popular trend is adding cabinet doors to refrigerators where large pulls are used to open doors. There are two basic types of hinges, concealed and surface mounted. If your cabinets call for surface mounted hinges it’s important to match the finish of the hinges to the finish of the pulls and knobs that you choose for a consistent look. As a consumer you should know that the height and weight of your cabinet doors will determine the number of hinges you will need. Doors up to 40 inches tall and under 11 lbs. will require two hinges. Doors between 40 and 60 inches tall require three hinges; doors up to 80 inches require four and doors up to 90 inches require five hinges. When considering hinges, talk with your contractor because the best hinge for your cabinet will depend on how the cabinet is made. There are self-closing hinges that reduce the wear and tear on cabinets and hinges designed for cabinets with pullout shelving.